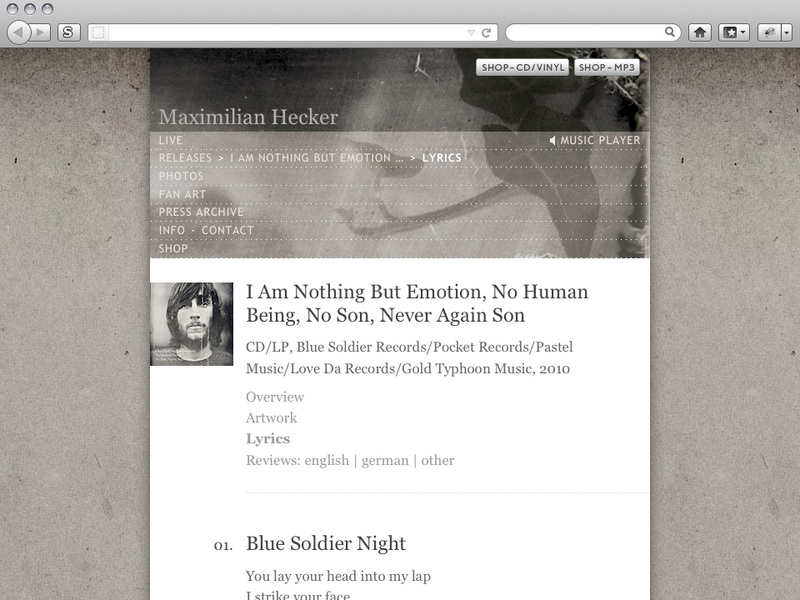 Redesign of the web site of Berlin-based singer/songwriter Maximilian Hecker. 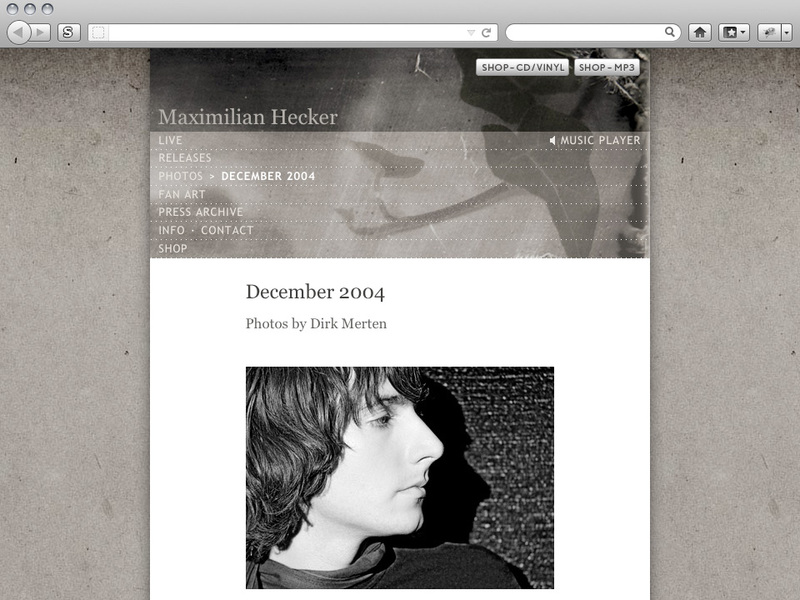 It went online in late 2003 and has gone through several redesigns whenever a major new album was released (this version is for the 2010 release “I Am Nothing But Emotion (…)”). 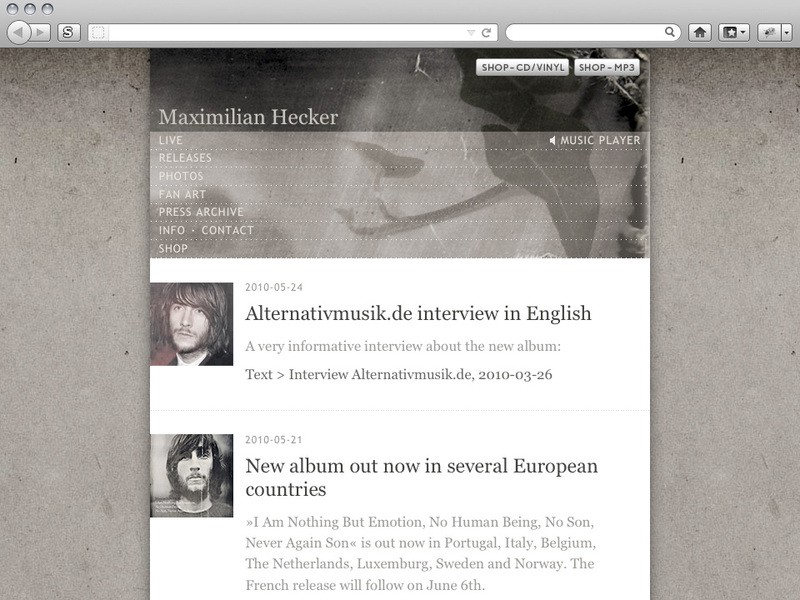 XHTML 1.0 Transitional, CSS 2.1.